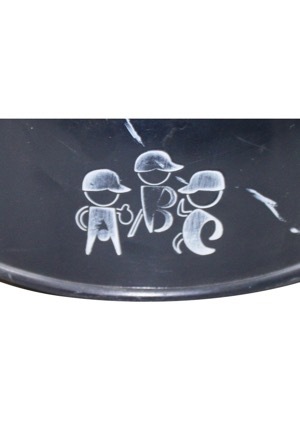 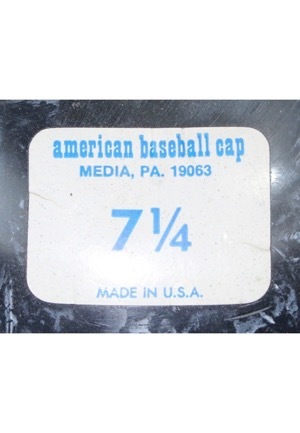 On the inside of the shell is the American Baseball Cap manufacturer’s sticker size “7 1-4”. 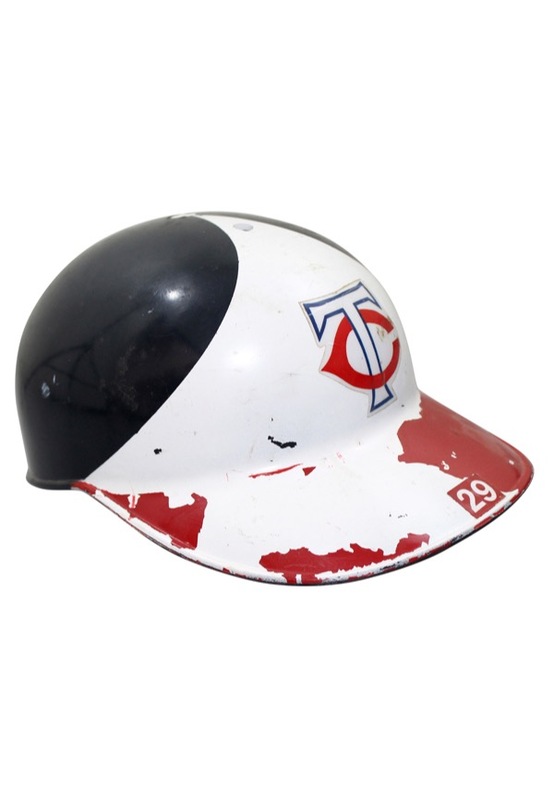 Handwritten under the brim is the player number “29” in period faded red marker. 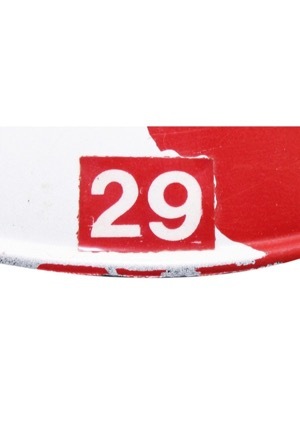 On top of the brim is a player number “29” decal. 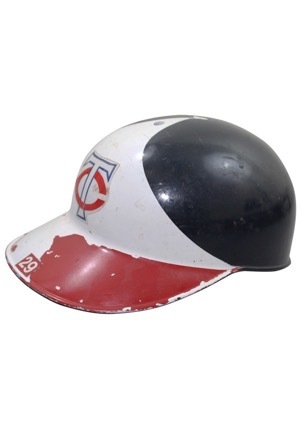 Across the front is the Twins team logo decal and on the back is the “ABC” manufacturer’s logo. 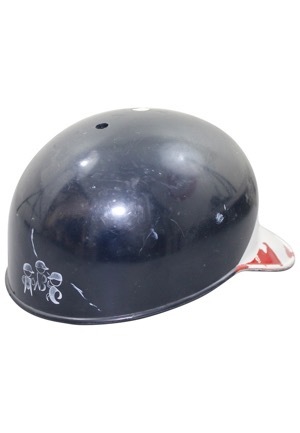 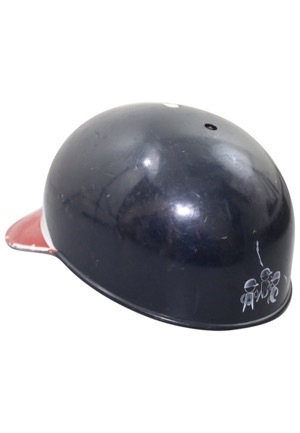 There is considerable paint loss on the front of the helmet and a good amount of residue remaining on the inside of the shell. 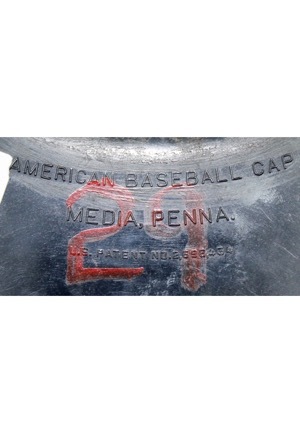 This helmet is properly tagged, was presented to us as game-used attributed to Rod Carew and shows use.